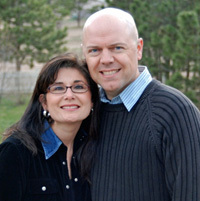 Mike Burwell is an ordained pastor who has had the honor of serving the Lord in churches both large and small. He is married to Dina and has two amazing children. He grew up surfing and fishing in and around in San Diego’s North County. He met his sweetheart Dina when they were in High School and got married at 19 years of age. His dad introduced him to the guitar at age 7 and he played in professional rock bands for 10 years before commiting his life in music to the church. Once upon a time he started working at a hi-tech industry B2B marketing company and by the time he left he was the Vice President of Strategic Development. He left that job to fulfill his calling as a pastor. Mike continues to keep a foot in the marketplace via his consulting work. Hey Mike! Just sending some love! It’s been awhile since we have seen each other. I pray that life is treating you well. Miss playing and worshipping with you. Holding a dual role as senior pastor and worship leader is tough! I have never had to deal with that kind of responsibility. I know it takes its toll over a long period of time and I have a ton of respect for people who are required to hold both positions simultaneously. My first thought is that we should always defer to the leadership of the senior pastor on these decisions but in this case your brother *is* the senior pastor! Yes, you are right in saying that God should be the one who dictates roles within each church body and it may be that these well-intentioned people who think your brother should step down as worship pastor are seeing the fact that he is carrying such a big burden. Pray that the Lord will reveal Himself in all ways in this situation. I know a senior pastor who led worship for years in his church and recently he made two huge decisions. The first was to bring on an Associate Pastor who teaches twice a month while the senior Pastor teaches the other weeks. Second, he brought on a Worship Pastor who leads 3 out of 4 weeks a month. Now the Senior Pastor still teaches a few times a month and still leads a few times a month, but he’s got a built-in support system. Sounds like a winning combination!